All are essential and cannot be killed. I will upload non essential version and version with perks soon. 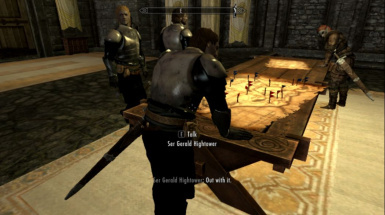 Also version where they protect emperor as part of his guard on Emperor's Ship to make way to the emperor harder, but Dragonborn is skilled enough to kill elite guards. Ser Gerold Hightower, Lord Commander, also known as the White Bull. Died in battle at the tower of joy in 283 AC. 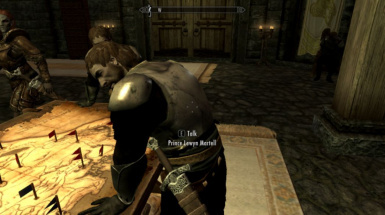 Prince Lewyn Martell, killed by Ser Lyn Corbray during Robert's Rebellion, in the battle of the Trident in 283 AC. Ser Barristan Selmy, called Barristan the Bold. Fought in and survived the battle of the Trident. 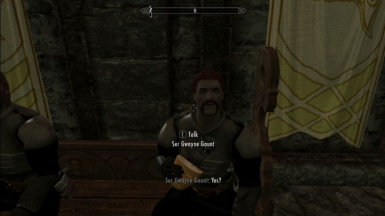 Ser Gwayne Gaunt, killed by Ser Symon Hollard during the Defiance of Duskendale in 277 AC. 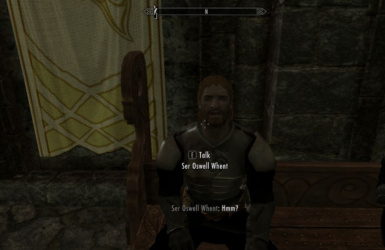 Ser Oswell Whent, died at the tower of joy in 283 AC. 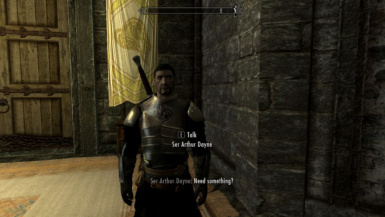 Ser Arthur Dayne, the Sword of the Morning. 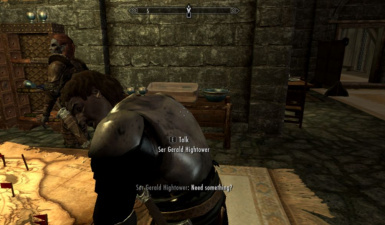 Deadliest of the Kingsguard in his time. Died at the tower of joy in 283 AC. Ser Jonothor Darry, died in the battle of the Trident in 283 AC. 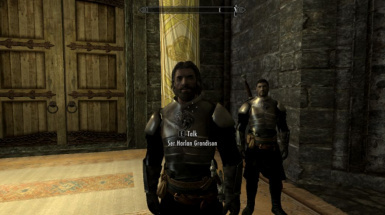 Ser Harlan Grandison. Died in his sleep in 281 AC. Ser Jaime Lannister, Harlan Grandison's replacement. Survived the Sack of King's Landing of 283 AC, where he killed King Aerys II Targaryen. Known as the Kingslayer ever since. Targaryen Kingsguard with Perks and without. All can be found inside of Solitude. Targaryen Kingsguard on empire side as enemies in war and three guard Emperor on Katariah ship. Both with perks and without perks versions included. 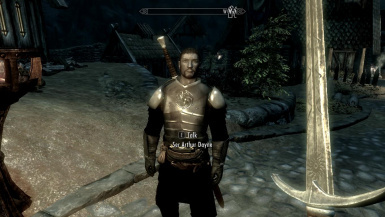 Thank you for permission to use armor and sword for this mod.